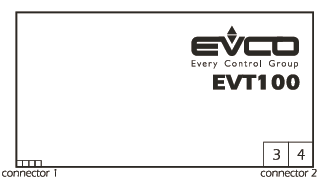 EVT100 is a remote indicator. the instrument can be used with the thermostats having a remote repeater port dedicated from which it is also supplied. Power supply: it is supplied by the thermostat.